I remember picking cherries with my mom as a kid. 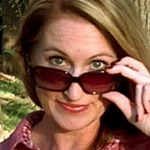 I also distinctly remember her scrumptious cherry pies. 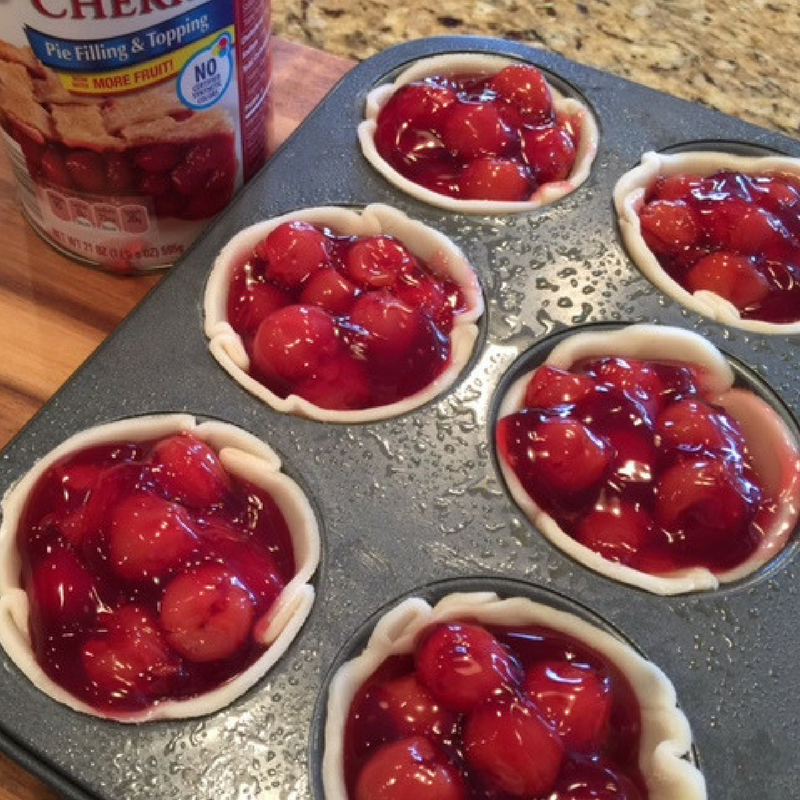 So, in honor of National Cherry Pie Day — and my mom — I simplified the pie-making process. I baked miniature versions of this yummy treat using three ingredients, and topped them off with my homemade whipped cream. Place medium mixing bowl and whisk into freezer. Preheat oven to 350ºF. 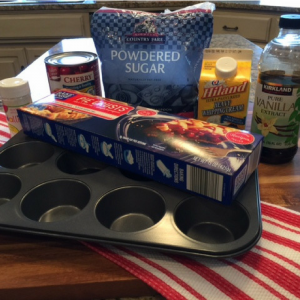 Grease 6 muffin cups with cooking spray. 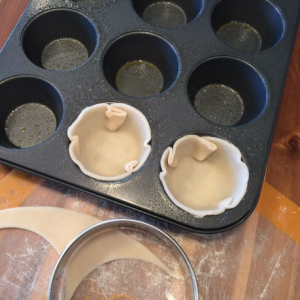 Roll out one pie crust onto a clean, flat surface. 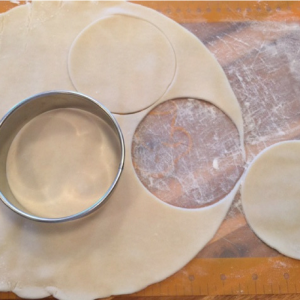 Using a cookie cutter or any circular lid, cut out a 4-inch circle of dough. Press each circle of dough into the bottom and sides of each muffin cup. Fill each cup with cherry pie filling. Roll out the second pie crust for the top crust of your mini pies. 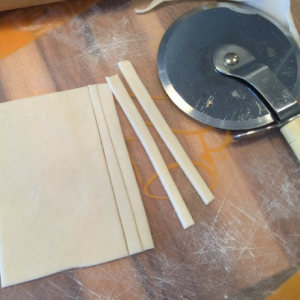 To make a lattice crust, use a sharp knife or pizza cutter to cut thin strips of dough. 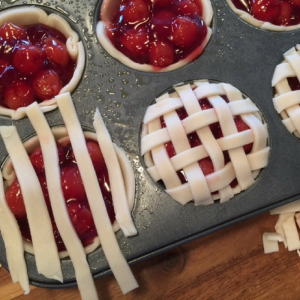 Layer on top to form a lattice. Brush the top crust with the whisked egg. Bake for 25 minutes. Remove and let cool for 15 minutes. While pies are baking, add heavy whipping cream, vanilla and powdered sugar into chilled mixing bowl. 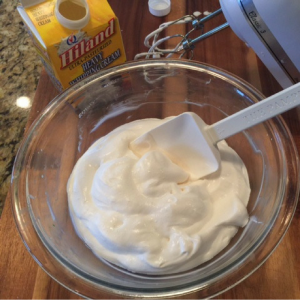 Whisk on high speed until medium to stiff peaks form, about 1 minute. When pies are done baking, remove from oven and let cool for 15 minutes. 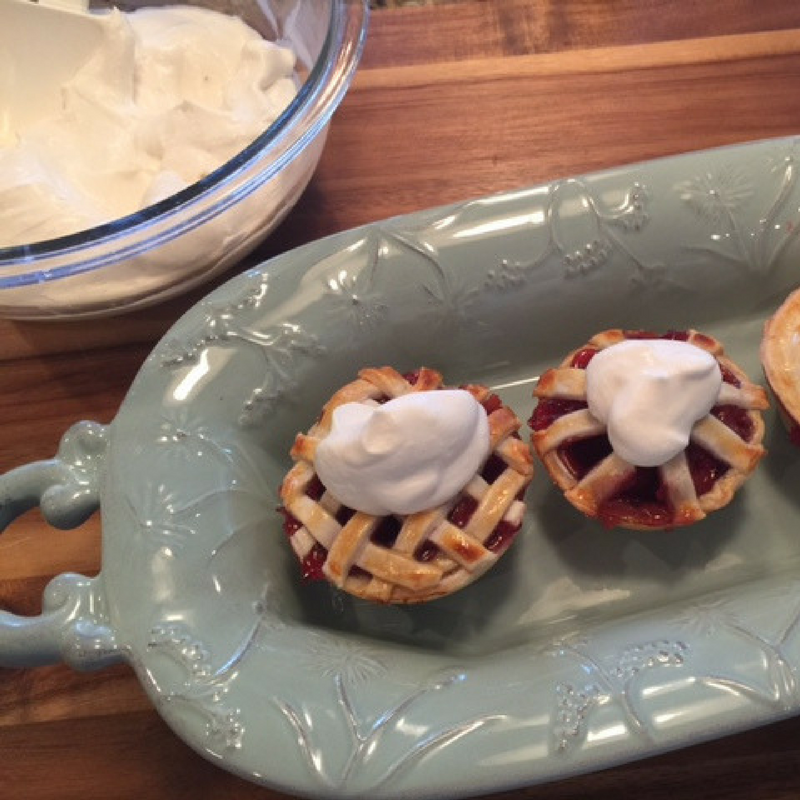 Top off each miniature pie with a spoonful (or two!) of whipped cream. You can turn these into apple or peach pies, too! 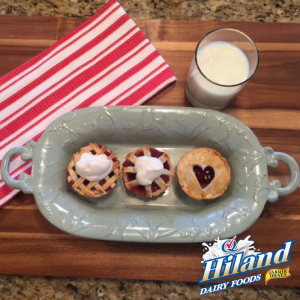 And as always, don’t forget to serve these sweet treats with a tall glass of fresh Hiland Dairy Milk!